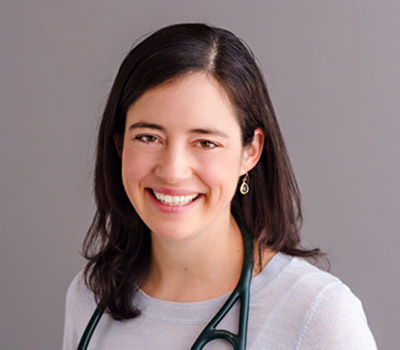 Dr. Laura Chan is a licensed Naturopathic Doctor (ND) and Acupuncturist (LAc). She is passionate about health and wellness and loves helping her patients experience more wellness in their own lives. Dr. Chan earned her BA in Medical Ethics from Brown University and went on to achieve her Masters in Acupuncture and Doctorate in Naturopathic Medicine at Bastyr University in Seattle, WA. During her years in practice, Dr. Chan has pursued extensive continuing education in a variety of modalities including functional medicine and the treatment of chronic conditions. She also a certified Yi Ren Qi Gong instructor through the Institute of Qi Gong and Integrative Medicine in Seattle, WA. This training has deepened her understanding of how energetic imbalance contributes to illness, and she enjoys sharing these skills with her patients when applicable. Prior to her time in medical school, Dr. Chan worked as a research assistant at the Osher Institute for Integrative Medicine at Harvard Medical School where she deepened her understanding of evidence based alternative medicine. She also lived abroad in China where she spent 4 months studying Traditional Chinese Medicine at Beijing University’s Medical School. Dr. Chan began pursuing studies in Naturopathic medicine and Acupuncture because of her own personal health successes with natural medicine. During college, while preparing to apply to conventional medical school, Dr. Chan struggled with a variety of health concerns that proved difficult to diagnose and treat through conventional means. Finding no relief in the conventional medical system with which she was most familiar, she turned to a naturopathic physician and acupuncturist for help. The positive outcomes she experienced changed her life, as well as the course of her medical career. In less than six months, Dr. Chan felt healthy enough to pursue her dream of riding her bike across the country from Providence to Seattle. Dr. Chan understands and appreciates the strengths of both natural and conventional approaches to medicine. She believes that naturopathic medicine and acupuncture offer very safe and effective tools for achieving wellness and health where conventional treatments fall short. Specifically, Dr. Chan specializes in chronic and hard to treat conditions such as chronic pain, chronic fatigue, fibromyalgia, digestive problems, hormonal imbalance, chronic infections such as lyme and lyme-like illness, allergies, autoimmunity, arthritis and environmental causes of illness (mold, chemical exposure, etc). Dr. Chan aims to understand and treat the root cause of illness in her patients. With her extensive background and training, Dr. Chan combines evidence-based medicine with the wisdom of healing traditions. This integrative approach is essential to help patients who feel like they "fall through the cracks" of the conventional medical system. Dr. Chan is a member of the American Association of Naturopathic Physicians, New Hampshire Association of Naturopathic Doctors & New Hampshire Acupuncture and Asian Medicine Association.